India Rainbow Community Services of Peel held its 26th Annual General Meeting on June 23, 2011 which was well attended by over 80 guests, members, vo..
India Rainbow Community Services of Peel held its annual ‘Volunteer Appreciation’ evening on April 25, 2012 to thank and acknowledge the many voluntee..
India Rainbow Community Services of Peel held its annual ‘Volunteer Appreciation’ evening on April 27, 2011 to thank and honor all volunteers who so ..
Mississauga - As part of their ‘Women’s Day’ celebrations, and to honor all women, India Rainbow recently held a panel discussion on ‘Managing Finance.. Connecting Women – Inspiring Futures This was the theme for the annual Women's Day celebrations organized on May 18th by the Violence Against Women P..
‘Dressing for Success’ – an interactive workshop for newcomers India Rainbow Community Services of Peel recently organized a unique workshop, "Dressi..
India Rainbow Community Services of Peel organized a one day Youth Forum on 20th October with a theme centered on ‘Embracing Duality of Cultures’. The..
India Rainbow’s Youth Leadership Picnic More than 40 youth and their family members participated in the family picnic organized by the Youth Leader..
Hello Dear Canadian gujarati I am so happy to invite you for 1st meeting of 2006 of Gujarati Business Association It's here. The moment that w.. The Indo-Canada Chamber of Commerce is proud to announce the launch of a new Mentoring program for New Immigrants. This Group Mentoring Program will b..
How can my Family Immigrate to Canada? Question 1: My mother remains in India. I immigrated to Toronto, Canada ten years ago. Can my mother immigrate to Canada with my help? Answer: ..
First of all, on behalf of fellow Canadian Indians, we congratulate and welcome you and your family members to Canada. You are here to make your fortu.. Choosing The Neighbourhood That’s Right For You Choosing the neighbourhood that’s right for you When buying a home, the neighbourhood you select wi..
YWCA Steps to Employment Help wanted signs are everywhere, but jobs still remain outside the reach of some women in Vancouver. “Finding and keeping.. When buying a home, the neighbourhood you select will not only play a pivotal role in your family’s life, but in the resale value of the property. 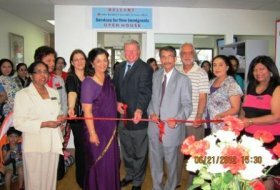 ..
'Services for New Immigrants' - India Rainbow's Newest Location! 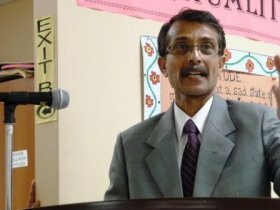 On June 21st, India Rainbow Community Services of Peel held an ‘Open House’ to celebrate the opening of its ‘Services for New Immigrants’ location at 3038 Hurontario Street, Unit 1. The ribbon cutting ceremony was done jointly by chief guest Cliff Fast, Operations Manager, Citizenship and Immigration Canada, and Sam Malvea, President of India Rainbow. This additional site is a one-stop shop for providing settlement counselling, referrals, information and employment support to all walk-in clients. This location also serves as an employment resource centre to meet the employment needs of newcomers. Guests from networking agencies, funders and supporters of India Rainbow, including members of the Board of Directors were present. All guests, community members and clients got a tour of the facility and staff were present to show them around and answer any questions. The event was to create awareness about our programs and services that are available free of charge to all newcomers. Kitty Chadda, Executive Director, welcomed everyone and said that having a street level-store front location will enable the organization to serve many more walk-in clients as there has been a steady increase of immigrants in the area. Cliff Fast was extremely delighted to be part of the expansion of India Rainbow and has been supporting the organization for many years. He commended India Rainbow for being in the forefront to serve the clients. Kitty thanked the funders for their continued support and mentioned that one of our long-standing Board member‘s dream of having a store front location for India Rainbow is a now a reality. Among the many funders who graced the occasion were Yolanda Chung and Linda Lawrence, Settlement Officers, Citizenship and Immigration Canada, Ilda Gaizas, Program Supervisor, Ministry of Community and Social Services and Janina Olechana, Program Consultant, Ministry of Citizenship and Immigration, Ontario. The open house was followed by the Annual General Meeting. “For an organization to grow and develop, it is important to look not only for opportunities for expansion, but also qualitative improvements in all its aspects”, said Sam Malvea. Later, clients from different departments narrated their experiences about how the services offered by India Rainbow helped them and their families. Staff who completed 10 and 15 years with India Rainbow were given pins for their service. For the business part of the meeting, the Chairs of various committees presented their reports. The Board acknowledged the contribution of the members whose terms came to an end, namely, Sheela Joshi, Nazli Rehman, and Vandna Nayyar, while special recognition was given to Rina Kukdé, a long standing member who could not be present. Ferzana Chaze, Secretary, then presented the slate for new Board members which was approved by the membership. Mohit Narang, Jatinder Pal Singh, Rana Brar Thiara and Shivani Sharda were acclaimed to the board. Article Rating is 6.0000 (Average). How do you find this article? You can also Submit an Article and help other community members. Thanks.